Fortnite for Switch Available Now | Nerd Much? We may have had a pretty good idea that this was on the way, but it’s still great to finally be confirmed nonetheless. Today’s Nintendo Direct announced that Fortnite is headed to the Switch – and it’s available right now. It sounds as though the Switch edition of the game follows in suit with the iOS and ditches Fortnite’s Save the World mode. Nintendo’s announcement only confirms that the title’s Battle Royale mode is coming to Switch and will feature all the same updates and gameplay as featured on the PC, PlayStation 4 and Xbox One. This is fantastic for gamers who would love to take their Fortnite experience on the go. Phones, while capable of running Fortnite Battle Royale quite well, are not exactly ideal to use as input devices for a frenetic shooter such as this. The Switch should offer true mobility with a controller that blows touch screen devices away. Epic Games has done an incredible job of being one of the most transparent developers out there and continue to maintain an open dialogue with their massive number of fans. The studio published a blog post a few weeks ago detailing what the future of the game holds, which you can find right here. 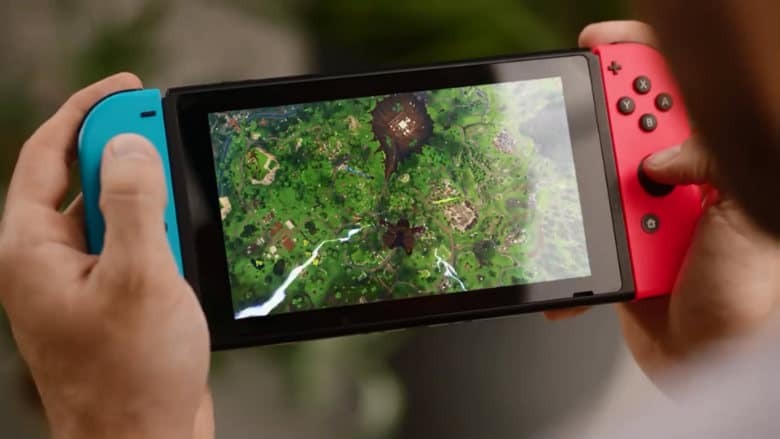 Fortnite for Switch will allow you to login to your Epic Games account so you can continue to level up the same player you may have been using on one of your other gaming devices. As herds of Switch gamers attempt to login, some are reporting login issues. Epic has recently said that simply logging out and logging back in should resolve these problems. For continual updates on the game’s server status you can check back here. With Fortnite Battle Royale finally jumping onto the Switch, Android users are the lone holdouts from the game’s worldwide take over. But it’s only a matter of time before the game lands there too.